A former member of America’s Navy becomes an international sensation after YouTube dance videos go viral. YouTube sensation and animation dancer Marquese “Nonstop” Scott is the only professional dancer in the world with more than 100 million views in one single video. With over one million YouTube subscribers and more than 250 million total views, Marquese has become an online sensation and one of the most sought-after dancers in the world. It’s almost hard to keep tabs on Marquese, as he is constantly on the go! Just in the last eight months, he has performed in: Milan, Italy; Madrid, Spain; Amsterdam, the Netherlands; Detroit, Michigan; Dubai, United Arab Emirates; and Cologne, Germany. In May, he performed in Bulgaria on their national version of So You Think You Can Dance and at the Fanta Dance Festival. In the past, he has performed in Singapore, England, Aruba, Australia and many other countries. In his home base, Atlanta, Georgia, he just hosted Shut Up and Dance (SUAD), a hip-hop competition he founded. 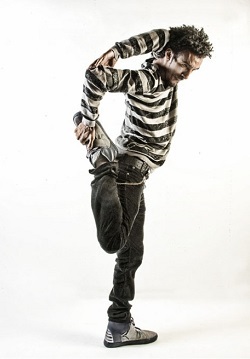 His 2011 video “Pumped Up Kicks” had a huge part in Marquese’s international and overnight fame. While he already had a loyal following in the hip-hop world through his involvement with the Dragon House Crew, Marquese was suddenly being invited to perform on The Ellen DeGeneres Show and booking independent gigs. Today, dancers and non-dancers the world over are familiar with Nonstop, as he is better known. Yet, how many really know the man behind the movement? In an interview with Dance Informa, Marquese talked about where it all started. Marquese, who was born in Englewood, California, was raised in Indianapolis. As a kid, he originally aspired to be an architect before he became engrossed in dance and music. He started to study street performers, like Flat Top and Turbo, west coast popping crews and the Japanese crew U-min. Marquese joined the military right after high school. “At boot camp it was obvious I had a passion for dance because even though we weren’t supposed to be dancing or anything at all – you’re not even supposed to talk half the time – there I was dancing, sometimes even to the marching cadence. I was getting myself and everyone else in trouble. That’s when I knew I had a passion for it because I was always dancing,” he recalled. Marquese spent four years enlisted in the United States Navy as a navigator before he decided to pursue his love of dance full time. On the USS Constellation, he toured Hawaii, Mexico, Singapore, Australia and the Gulf Region. In 2003, when his enlistment was over, Marquese moved to Atlanta to train. He become a member of Siberian Nights, Electric Ground Control, Collizion and G-Style South during this time, which eventually led to him becoming a founding member of RemoteKontrol, now a part of Dragon House. The style he is best known for today is one he is continuing to explore – animation. His movement is often inspired by the music’s sounds and lyrics, as well as by the earth’s natural elements, like water, wind and fire. 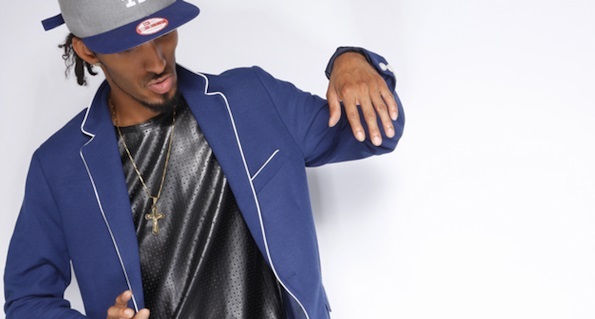 Marquese Scott performing at 2013 Social Star Awards. Pulling upon this robotic idea, Marquese has begun to produce a series of web episodes on his YouTube channel that follow the story of two robots trying to masquerade as humans. “A lot of people don’t know it, but I released the first clip in the series a little while ago. It’s called ‘The Interview’ and it’s an introduction to the rest of the series, which is about a robot trying to pose as a human. He is trying to get a job in order to fit in with this planet. Later on, he will meet another robot who is acting like a human but they won’t know it since they’re both hiding. [The series] will bring in dancers from Dragon House, but also from New York, L.A. and all over to be involved,” Marquese said. 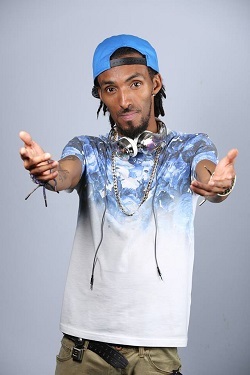 Xcel Talent Agency, who represents Marquese, has also recently announced a slew of future performances, including Marquese with Dragon House (The Agents) at Festival Presidente Santo Domingo in the Dominican Republic in October. When looking to the future, Nonstop seems to be truly unstoppable. When asked about his aspirations, he shares short-term and long-term dreams. “Short term, I would like to be in a movie starring me or Dragon House to show off our movement and what we’re doing. Long term, I want to open up a 24-hour dance studio where it will serve as a community center for dancers – a place where they can come and dance anytime they need to,” he explained. To follow this dancer which has been dubbed “simply mind blowing” (CBS) and “incredible” (The Ellen DeGeneres Show), find him on social media (he has numerous accounts on Facebook alone!) or on his website http://marquesescott.wordpress.com. Watch Marquese’s “Pumped Up Kicks” video that has over 100 million views on YouTube! Photos courtesy of Xcel Talent Agency. Marquese Scott is most definitely next level dancing of our generation its so animated some people don’t think it’s real and that’s exactly the point total illusion!! !